Hi gang 🙂 Finally found some free time to get over to the library to write up the recipe blog for this delicious dish!!! I got wonderful feedback for it and cannot wait for you to try it! It was full of flavour, colour and texture and the depth of the broth was to die for. I did not add noodles to mine (a “real” pho has noodles) so please feel free to add them to yours if you like!! 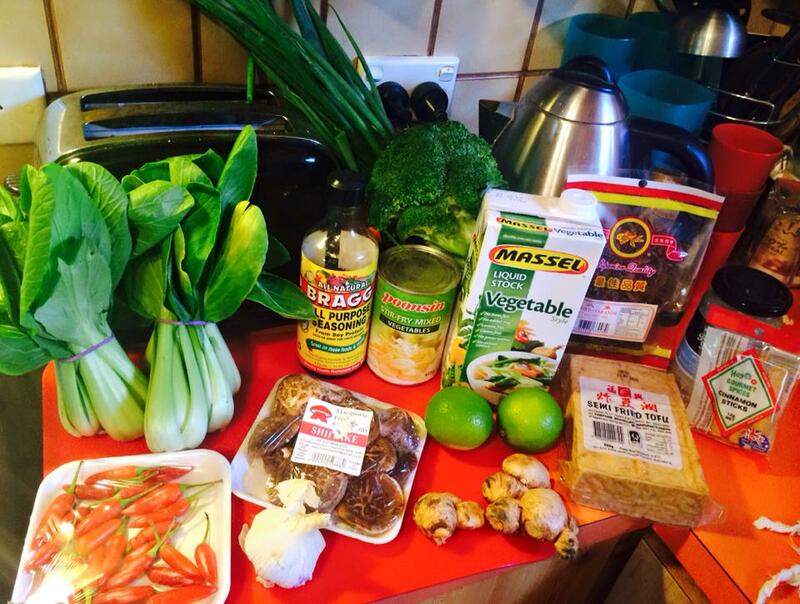 STEP 1 – Gather your Ingredients. 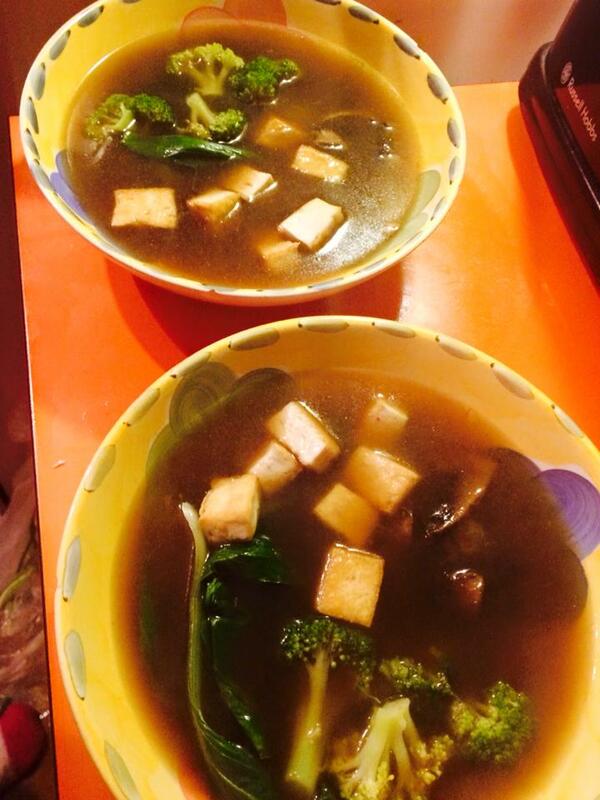 For this you will need 3L of vegetable stock, a packet (or more) of shitake mushrooms, 2 large Portobello mushrooms, 5 star anise, 2 cinnamon sticks, chilli, bok choy, braggs (or tamari or soy sauce), broccoli, spring onion, garlic, 1 brown onion, ginger, lime, coriander and firm tofu. 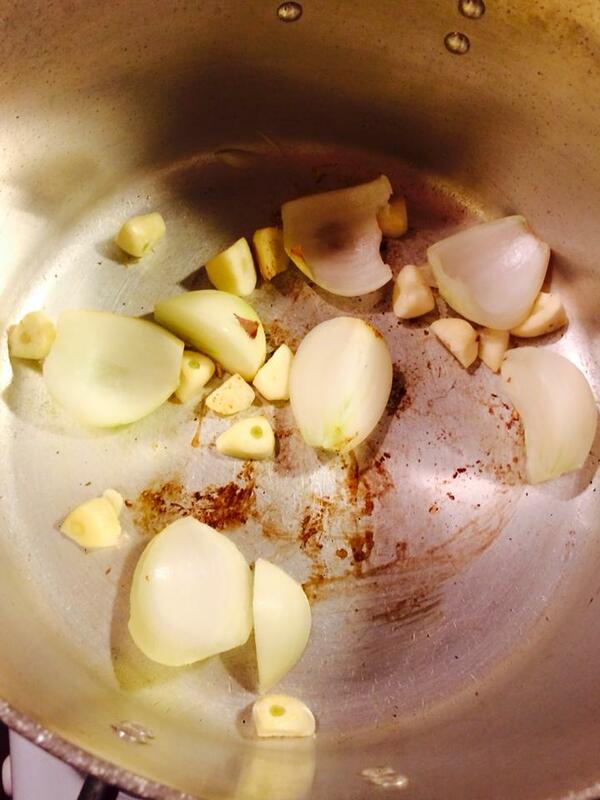 STEP 2 – Chop a brown onion into quarters and about 6 – 8 cloves of garlic (chop in half) and dry roast (no oil) until they start to brown/burn slightly. 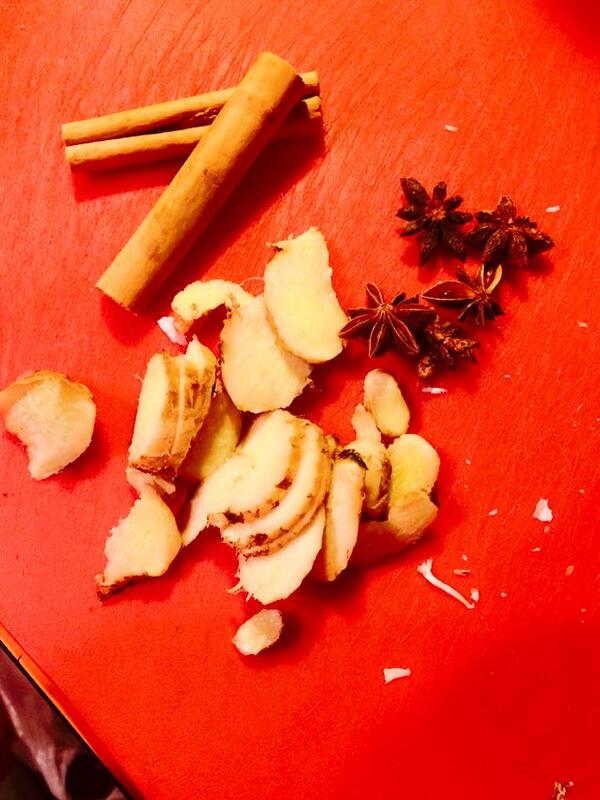 This helps enhance the flavours of the broth later on. Make sure to keep stirring. 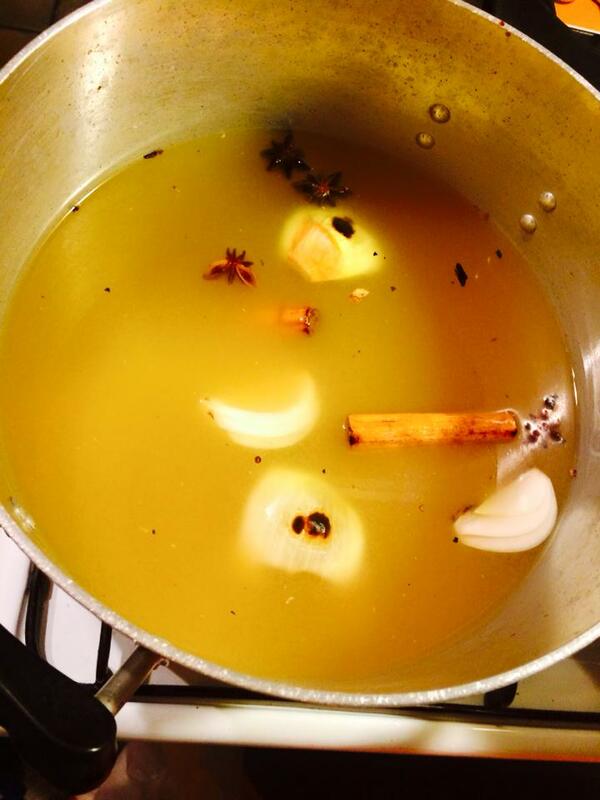 Then add your 2 cinnamon sticks, 5 star anise and a good knob of ginger to the pot and stir. Let these dry roast for about 5 more minutes. 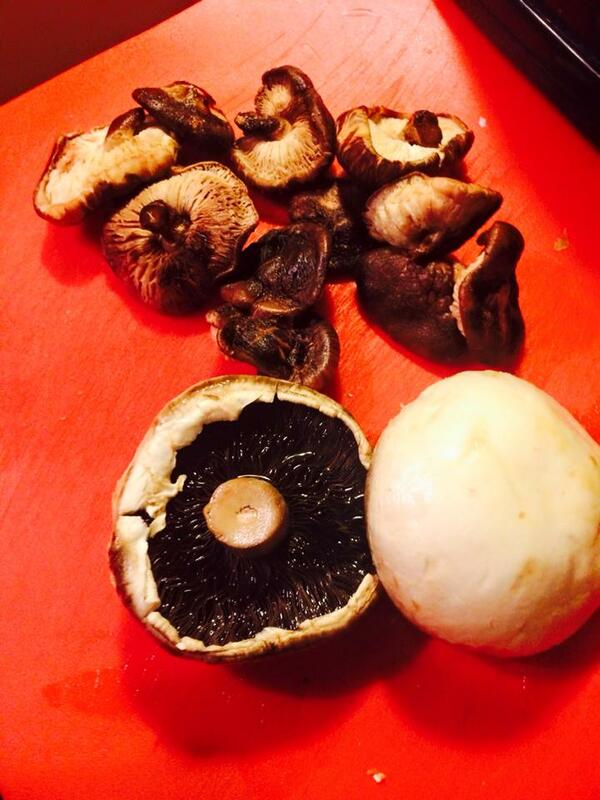 STEP 3 – Slice up your mushrooms ready to be added. The dry roasting should look a little like the below picture. 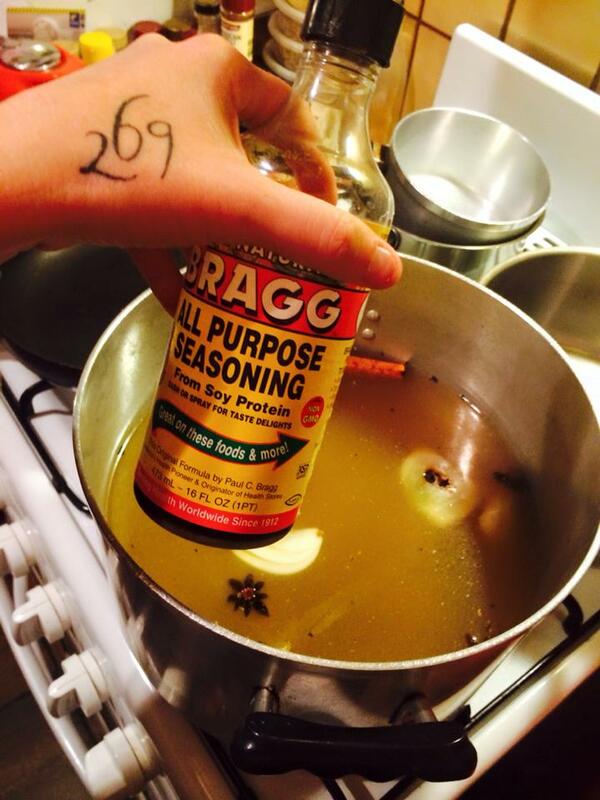 Now add your 3L of veggie stock, mushrooms and about 3 TBS of braggs to the pot and stir. 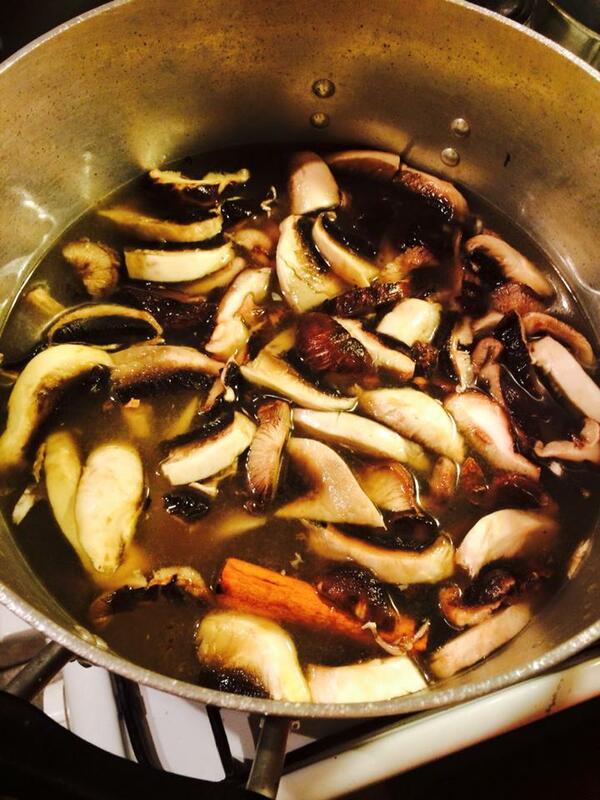 The mushrooms will further bring out a lovely flavour to the broth. 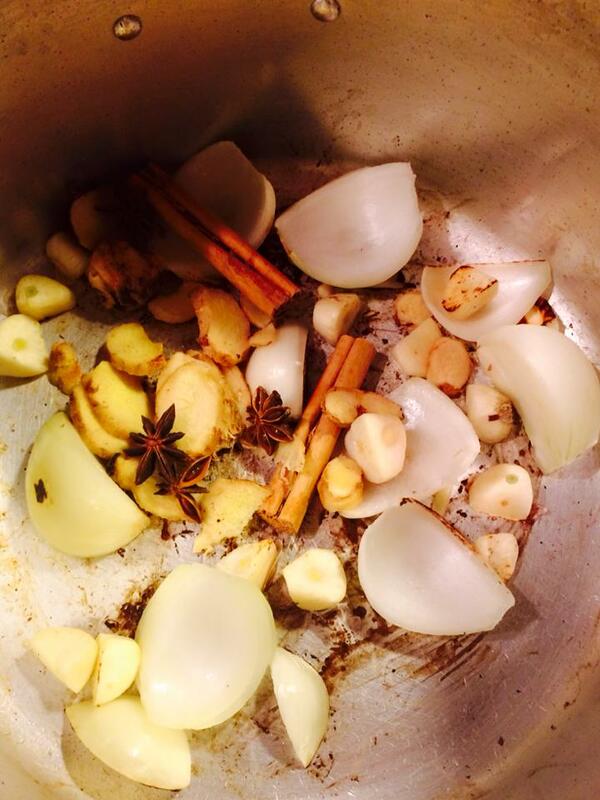 STEP 4 – Let this now simmer for 30 – 60 minutes (the longer the better for the flavour). 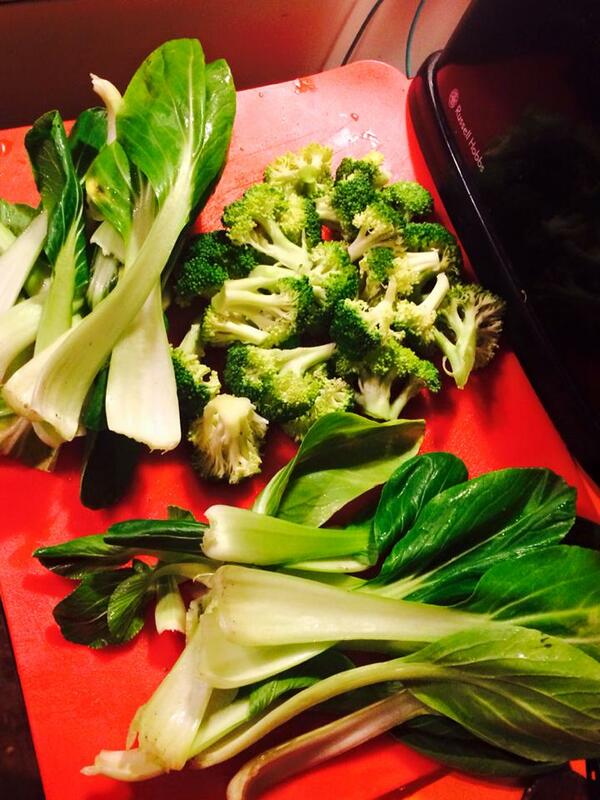 Chop up your bok choy and broccoli and lightly steam in a separate pot. 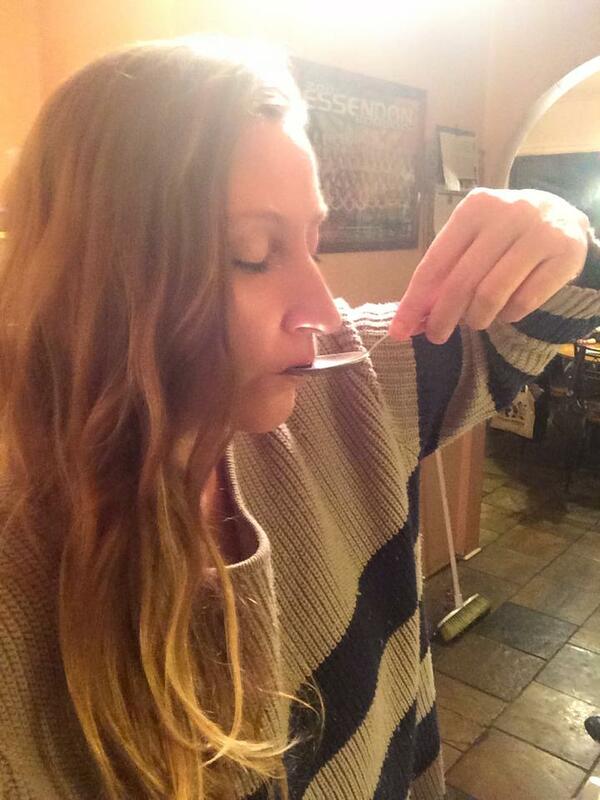 Keep tasting the broth as you go to perfect the flavour to your liking. Add more braggs if you like. 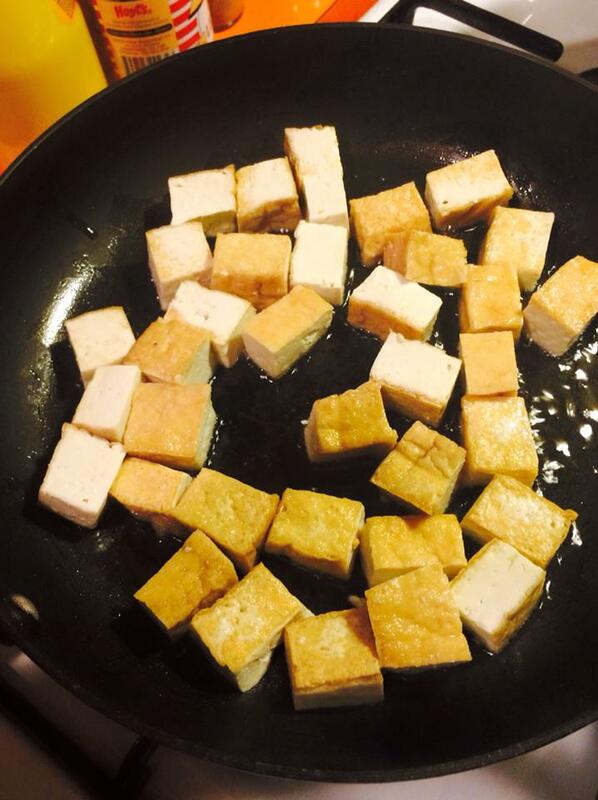 STEP 5 – Prepare your tofu by squeezing out any excess water with a paper towel. Chop up into cubes and pan fry with a little coconut oil until nice and crisp. 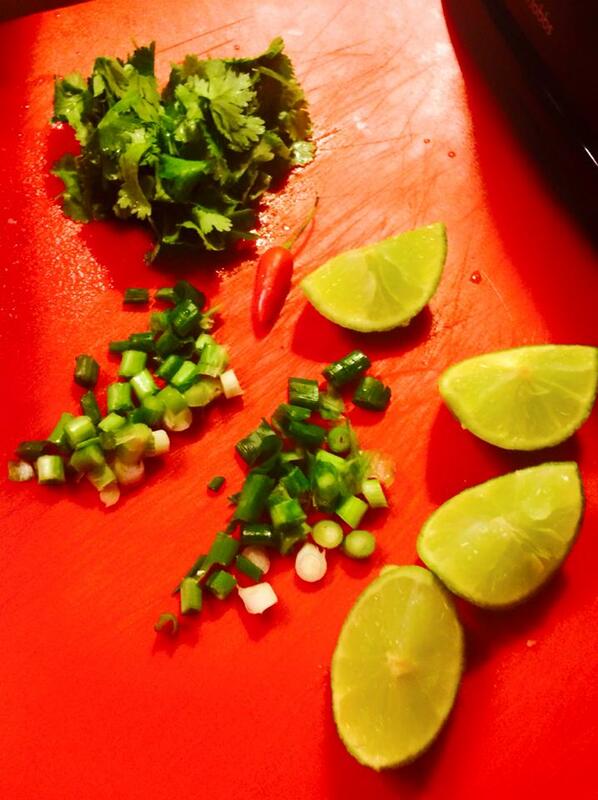 STEP 6 – Chop up some spring onion, coriander, lime and chilli (leave the chilli out if you do not like HOT). 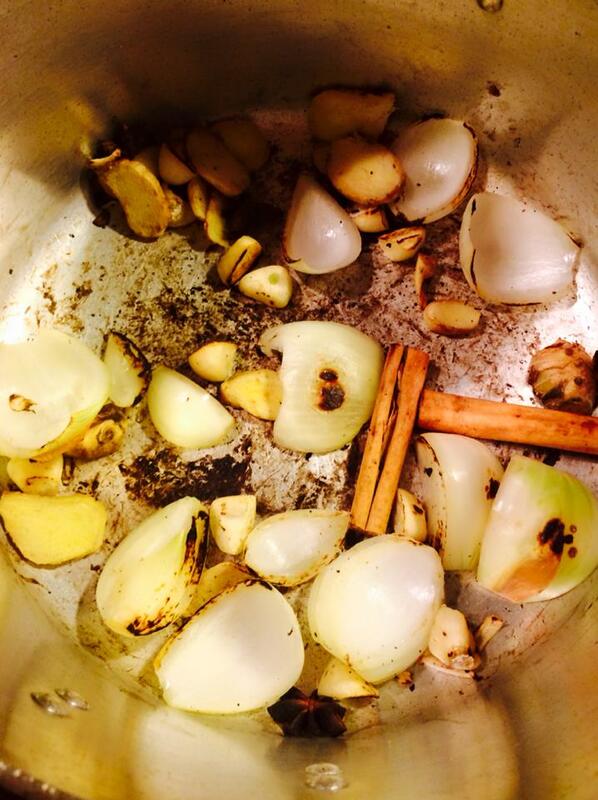 STEP 7 – Once you are happy with the flavour of the broth, strain out the ginger, garlic, cinnamon sticks, onion and star anise and throw away. 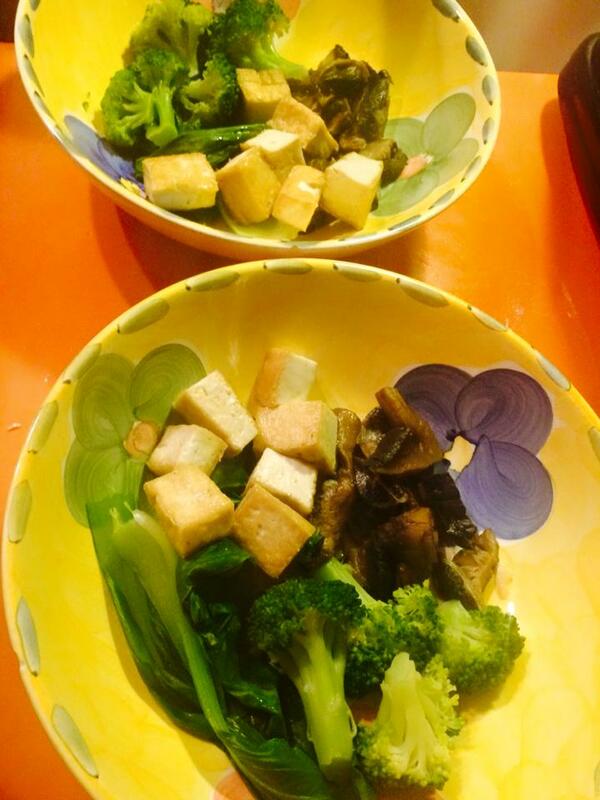 Place the mushrooms, broccoli, bok choy and tofu into a bowl and then pour some broth over the top. STEP 8 – Now garnish with some coriander, spring onion, chilli and lime. Squeeze the lime into the broth just before serving. I hope you enjoy this delicious, comforting dish. 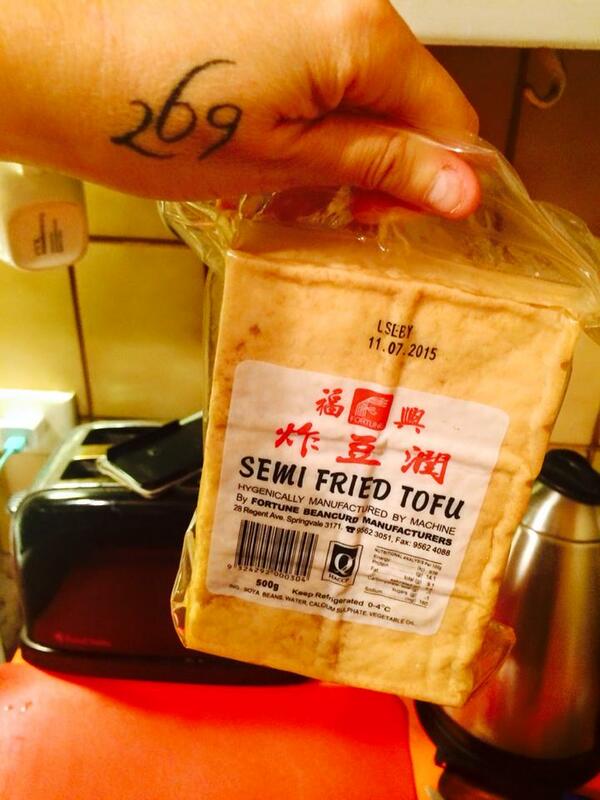 My omnivore mother and male friend LOVED it and said it tasted like something you would eat in a restaurant. 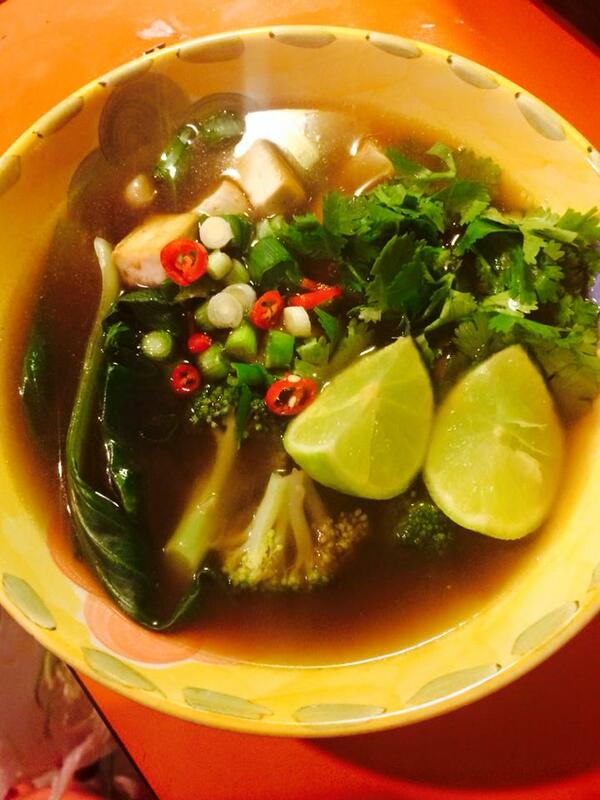 Its all about perfecting the broth and making sure it is FULL of flavour. This entry was posted in Uncategorized and tagged broccoli, chilli, comfort, comfort food, garlic, ginger, health, healthy, healthy food, lime, mushrooms, pho, plant based, tofu, vegan, vegan cooking, vegan eats, vegan food, vegan pho, vegan soup, veganism, vietnamese, vietnamese pho. Bookmark the permalink. mmmmmmm Vietnemese vegan. nice one!